Tim Holtz Rubber Stamp BIRTHDAY SKETCH Stampers Anonymous P1-2094 at Simon Says STAMP! 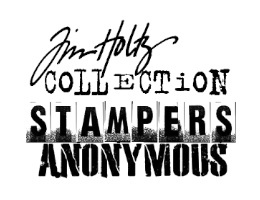 Success, Tim Holtz Rubber Stamp BIRTHDAY SKETCH Stampers Anonymous P1-2094 has been shared! This stamp has contoured easy grip sides, a quality heavy weight wood mount, and thick foam with deeply etched rubber. Neatly trimmed and already wood mounted for your immediate stamping pleasure! Stamp measures approximately 4 X 3 inches.